Telus flanker brand, Koodo Mobile, is targeting former customers who recently switched over to Public Mobile, the prepaid sibling of the former. 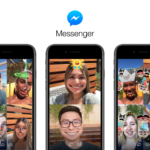 The new ‘win back’ offer, sent to customers via text message, offers a $45 per month plan with 8GB of data, according to iPhone in Canada reader Cory, who received the message a couple days ago. Users are told to head to the nearest Koodo location and use promo code JOINKOODOCRP by August 21. This is a targeted offer, so your number needs to have received the text message to be eligible. 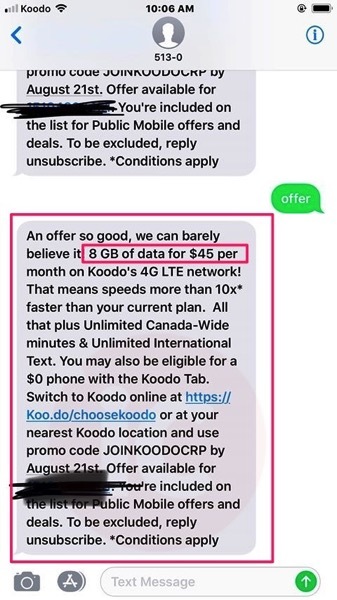 But if you’re a Public Mobile user who recently switched to Koodo and haven’t received the text, you can always try calling Koodo and asking about it. Let us know if you got this text message!